Every entrepreneur that I have ever met had several very deeply personal reasons for being an entrepreneur. Their reasons did not always fit the same pattern, but they were almost always deeply personal. I don’t think this is by chance. I believe that if a person seriously strives toward entrepreneurial goals, there usually are some rather strong motives behind it. If the motives are not strong and deeply rooted in some event or some type of situation to be gained or avoided, odds are that the person will, at some point, abandon their entrepreneurial efforts. It is difficult to become an entrepreneur and succeed at it unless you are especially gifted in that area, extremely lucky in many ways or just too stubborn or proud to give up. Other than those reasons for sticking it out as an entrepreneur, there is only one other reason that I have heard of that did make sense to me. That reason was that the person felt that he had no other option in order to survive. And that reason is clearly a rather personal one at that. Some motives are based in something negative that happened to them, but most often it is simply a strong desire to have a lifestyle where they are in control of what happens to them. As you probably have guessed, the last category for this mini-series is “entrepreneurs”. Oddly enough, everybody who might describe themselves as an “entrepreneur” would not be in agreement with how I look at situations. The term “entrepreneur” has become so loosely used that much of its meaning has become cloudy to me. An entrepreneur is really a person who has the ability to understand and empathize with all of the other categories and to basically manage or “orchestrate” the process as needed to bring about success. The process of being an entrepreneur can be simple or complex depending upon a number of factors. But, even in a simple example, an entrepreneur will find himself or herself wearing many hats and being called upon to handle many unexpected tasks. So, by its nature, an entrepreneur has to become a “Jack or Jill of all trades”. Do you see yourself as being able to relate to each of the previous categories? If so, you just may be more of an entrepreneur than you thought. Just remember, in the final analysis of this, “entrepreneur” is just a word. You have the potential to define it any way that you wish it to be. Our strategies are designed to help you to accomplish those goals that are important to you – as in the end, they are the goals that are most important to you. We respect that as we should. The best way that you can help us and we can help you is to develop some dialogue between us, so we can determine how best to apply your own individual skills, talents and resources to create “Win-Win” results. “Win-Win” results are the only type of results that matter. 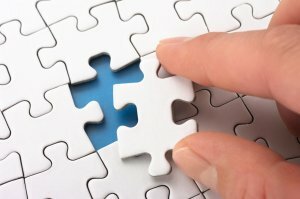 Previous PostAre You The Missing Piece To A Profitable Business? (Part 4 of 5)Next PostSo You Have Another Product To Market – Now What? I am following each part of this post. excellent writing on the opportunities of business. In our life we got a lot of opportunities. but sometime we miss those just for our ignorance. This article opened my eyes. I Will follow your future articles too. It is very gratifying to know that our readers understand the intent of our articles. The world really is full of opportunities. However, if a person doesn’t understand how to apply proper strategy, what appears to be an opportunity will only be a distraction. We take pride in being able to help our readers and, especially our subscribers in understanding the differences.